Elle at The Medical Center prides itself on offering its residents the very best in apartment living. 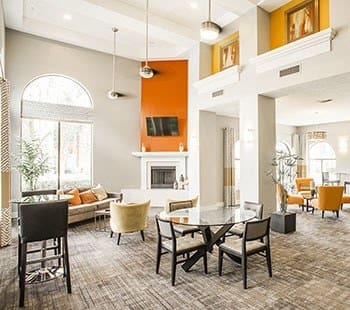 Our one, two and three bedroom apartments in Houston, Texas, are ideal for those that want to live in the heart of the Houston metro area without sacrificing the relaxing aesthetic of our garden-style luxury apartment homes. The interior of each of our pet-friendly apartment homes utilizes open-space floor plans that highlight our large windows, cathedral ceilings, and beautiful additions such as soaking tubs and custom cabinetry. There is plenty of storage throughout the homes, and select apartments come with attached garages for resident convenience. Each apartment home comes with high-speed Internet and are cable ready. Health-conscious residents can build up a sweat at the fully stocked fitness center with weight room, or can do some laps in our large swimming pool. A community clubhouse is the perfect place to host large get-togethers or parties, and can be reserved for special occasions. To learn more, please visit our photo gallery to take a virtual tour of our grounds and apartment homes.